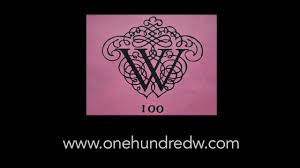 100 Women Making a Difference is a non-profit organization founded in 2008 with chapters in the states of California, Illinois and New Jersey. Each year, the organization awards grants to women and others whose non-profit organizations have made a difference in the community. The organization also awards college scholarship grants, and Helping Hand grants to families in financial crisis. Examples of grants for non-profit organizations include food pantries, animal shelters, food farms, domestic violence shelters, and more. A total of $100,000 is awarded each year. The organization does no fundraising, auctions or other events to raise money. Each member of the organization donates $1,000 per year which funds the annual grants and scholarships. The organization's founder, Joan Sabatino, and her husband pay all expenses related to running the organization, contributing all donations towards grants and scholarships to help others. Three chapters operate in Orange County, California; North Shore in Illinois; and New Jersey.